Writing in the eighteenth century, the Persian-language litterateurs of late Mughal Delhi were aware that they could no longer take for granted the relations of Persian with Islamic imperial power, relations that had enabled Persian literary life to flourish in India since the tenth century C.E. 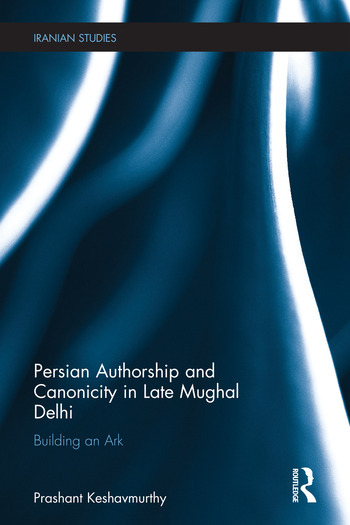 Persian Authorship and Canonicity in Late Mughal Delhi situates the diverse textual projects of ‘Abd al-Qādir “Bīdil” and his students within the context of politically threatened but poetically prestigious Delhi, exploring the writers’ use of the Perso-Arabic and Hindavi literary canons to fashion their authorship. Breaking with the tendency to categorize and characterize Persian literature according to the dynasty in power, this book argues for the indirectness and complexity of the relations between poetics and politics. Among its original contributions is an interpretation of Bīdil’s Sufi adaptation of a Braj-Avadhi tale of utopian Hindu kingship, a novel hypothesis on the historicism of Sirāj al-Din ‘Alī Khān “Ārzū”s oeuvre and a study of how Bindrāban Dās “Khvushgū" entwined the contrasting models of authorship in Bīdil and Ārzū to formulate his voice as a Sufi historian of the Persian poetic tradition. The first book-length work in English on ‘Abd al-Qādir “Bīdil” and his circle of Persian literati, this is a valuable resource for students and scholars of both South Asian and Iranian studies, as well as Persian literature and Sufism. Prashant Keshavmurthy is Assistant Professor of Persian-Iranian Studies in the Institute of Islamic Studies, McGill University. His research interests include late Mughal political discourses, Safavid-Mughal commentarial practices, Persian-Urdu poetics, Persian translations of Indic language works and Islamic autobiographical discourses.